In the past few weeks I read an article on the use of aquatic robots in the ocean for research. Since my PhD project uses technology, such as drones and GoPros, to monitor body condition of gray whales and availability of prey along the Oregon coast, I became really interested by the new perspective these robots could provide. Drones produce aerial images while GoPros generate an underwater-scape snapshot. The possible new perspective provided by a robot under the water could be amazing and potentially be used in many different applications. The article was published on March 21st by The New York Times, and described a new finned robot named “SoFi” or “Sophie”, short for Soft Robotic Fish (Figure 1; The New York Times 2018). The aquatic robot was designed by scientists at the Massachusetts Institute of Technology (MIT) Computer Science and Artificial Intelligence Lab, with the purpose of studying marine life in their natural habitats. 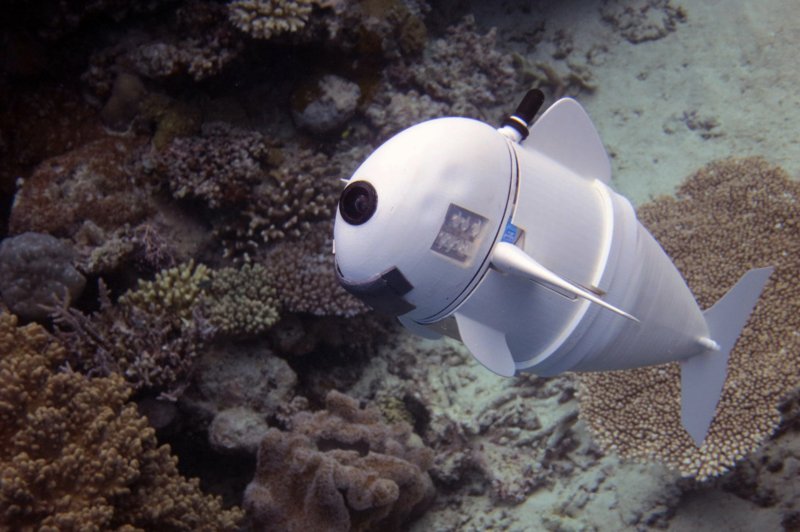 Figure 1: “SoFi”, a robotic fish designed by MIT scientists. Source: The New York Times 2018. SoFi can swim at depths up to 18 meters and at speeds up to half-its-body-length a second (average of 23.5 cm/s in a straight path; Katzschmann et al. 2018). Sofi can swim for up to ~40 minutes, as limited by battery time. The robot is also well-equipped (Figure 2). It has a compact buoyancy control mechanism and includes a wide-view video camera, a hydrophone, a battery, environmental sensors, and operating and communication systems. The operating and communication systems allow a diver to issue commands by using a controller that operates through sound waves. Figure 2: “SoFi” system subcomponents overview. Source: Katzschmann et al. 2018. The robot designers highlight that while SoFi was swimming, fish didn’t seem to be bothered or get scared by SoFi’s presence. Some fish were seen swimming nearby the robot, suggesting that SoFi has the potential to integrate into the natural underwater environment and therefore record undisturbed behaviors. However, a limitation of this invention is that SoFi needs a diver on scene to control the robot. Therefore, SoFi’s study of marine life without human interference may be compromised until technology develops further. Another potential impact of SoFi we might be concerned about is noise. Does this device produce noise levels that marine fauna can sense or maybe be stress by? Unfortunately, the answer is yes. Even if fish don’t seem to be bothered by SoFi’s presence, it might bother other animals with hearing sensitivity in the same frequency range of SoFi. Katzschmann and colleagues (2018) explained that they chose a frequency to operate SoFi that would minimally impact marine fauna. They studied the frequencies used by the aquatic animals and, since the hearing ranges of most aquatic species decays significantly above 10 KHz, they selected a frequency above this range (i.e., 36 KHz). However, this high frequency range can be sensed by some species of cetaceans and pinnipeds, but negative affects on these animals will be dependent on the sound amplitude that is produced. Although not perfect (but what tool is? 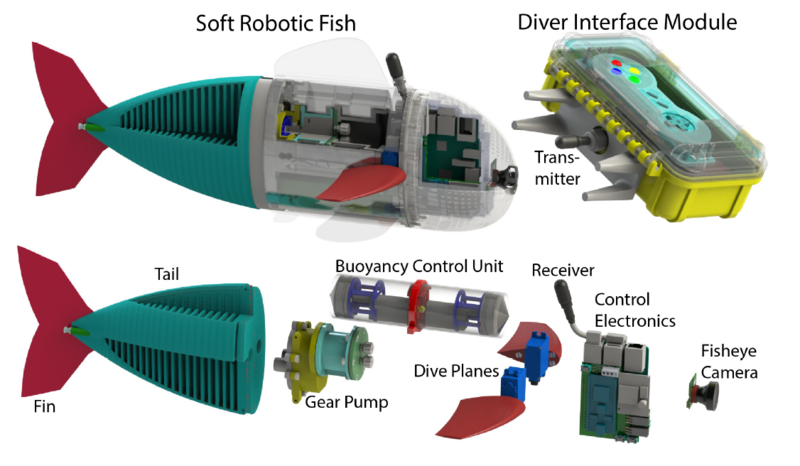 ), SoFi can be seen as a great first step toward a future of underwater robots to assist research efforts. Battery life, human disturbance, and noise disturbance are limitations, but through thoughtful application and continued innovation this fishy tool can be the start of something great. The use of aquatic robots, such as SoFi, can help us advance our knowledge in underwater ecosystems. These robots could promote a better understanding of marine life in their natural habitat by studying behaviors, interactions and responses to threats. These robots may offer important new tools in the protection of animals against the effects caused by anthropogenic activities. Additionally, the use of aquatic robots in scientific research may substitute remote operated vehicles and submersibles in some circumstances, such as how drones are substituting for airplanes sometimes, thus providing a less expensive and better-tolerated way of monitoring wildlife. Through continued multidisciplinary collaboration by robot designers, biologists, meteorologists, and more, innovation will continue allowing data collection with minimal to non-disturbance to the wildlife, providing lower costs and higher safety for the researchers. It is impressive to see how technology efforts are expanding into the oceans. As drones are conquering our skies today and bringing so much valuable information on wildlife monitoring, I believe that the same will occur in our oceans in a near future, assisting in marine life conservation. Katzschmann RK, DelPreto J, MacCurdy R, Rus D. 2018. Exploration of Underwater Life with an Acoustically Controlled Soft Robotic Fish. Sci. Robot. 3, eaar3449. DOI: 10.1126/scirobotics.aar3449. The New York Times. 2018. Robotic Fish to Keep a Fishy Eye on the Health of the Oceans. Available at: https://www.nytimes.com/2018/03/21/science/robot-fish.html.